Last week I blogged about the Find Your Park initiative from the National Park Service – this week I want to expand on that by giving you an overview of St. Marys’ neighboring park, Cumberland Island National Seashore. Accessible only by water transportation, whether you take the Cumberland Island ferry or your own seafaring vessel, Cumberland Island is more than 36,000 acres of almost completely undeveloped wilderness – 9,800 acres of the land is Congressionally designated Wilderness. It is the largest and southernmost barrier island off the coast of Georgia, protecting the mainland from the harshest effects of coastal storms. The west side of the island is bordered by the Cumberland River and Cumberland Sound, both part of the Intracoastal Waterway, and to the east is the vast expanse of the Atlantic Ocean. All sorts of wildlife call Cumberland Island home – from wild horses grazing on the grounds of the Dungeness ruins to ghost crabs hiding in their holes along the beach to shorebirds cruising above the salt marshes. The island also houses numerous ecosystems – the saltwater marshes on the western shore, the maritime forests that cover the island’s interior, or the pristine beaches along the Atlantic Ocean. 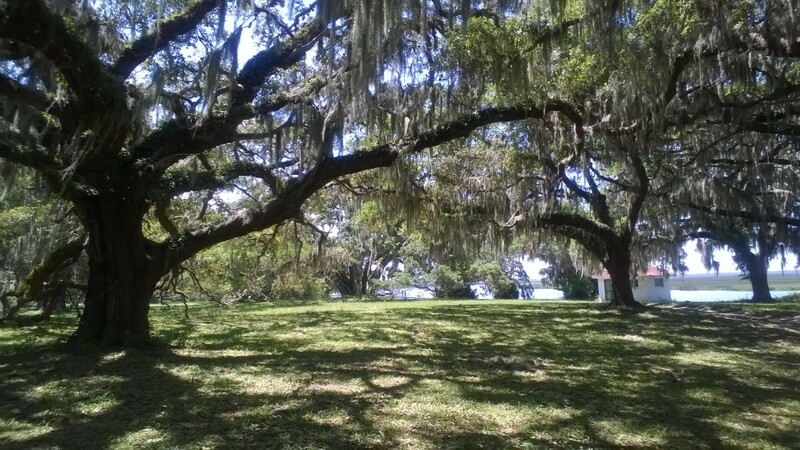 Cumberland Island is a nature lover’s paradise – there are 50 miles of hiking trails that meander all over the island and numerous sites for camping, whether you camp at the primitive sites in the Wilderness or at the developed sites with restroom facilities. Bikes are available for rent and can be used on the main road – expect a bumpy ride! If you prefer a more leisurely adventure, explore the 17 miles of white sand beaches while collecting shells and shark teeth that the tide has brought in. The Lands & Legacies van tour is an excellent way to experience the full scope of the island in a day – you are driven by a knowledgeable guide up the single main road to the north end of the island, a 16 1/2 mile journey from Sea Camp Ranger Dock. Along the way you stop at the Settlement, which once was home to African American workers; the First African Baptist Church, where John F. Kennedy, Jr. was married; and Plum Orchard, a fine mansion that once belonged to the Carnegie family at the turn of the twentieth century. These standing structures are evidence of past development on the island. There is another example that is no longer standing – the ruins of the Dungeness mansion, which are on the south end of the island. The first Dungeness was built in the late 1700s; another was built on the same site in 1884 but burned down nearly 80 years later, and since then the ruins have remained undisturbed. In 1971, most of the owned land on Cumberland Island was given to the National Park Foundation, and the next year it was designated as a National Seashore. Since then, the NPS has endeavored to preserve the island for future generations to enjoy. Only 300 visitors are allowed on the island each day – this includes both campers already on the island and daily passengers on the ferry. Maybe Cumberland Island can be your park, whether you’re a fan of the outdoors or a history buff – there’s something for everyone on this wild piece of paradise. 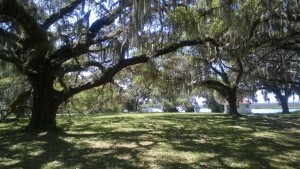 If you’d like more information, visit the Cumberland Island section of our website or the NPS Cumberland Island page.